We have set ourselves the goal, divers of all areas of interest, education levels and training organizations to provide a platform to be able to live out “the most beautiful hobby in the world”. No matter how many dives have you, no matter if you’re just interested in a dive training or even instructors, regardless of whether one finds you only in warm or cold water, no matter if you only dive gravel pond in front of the front door or in one of the seven oceans, with us you are welcome. So you’re going with us plenty of opportunities to get to know the one hand, new divers and participate in dives, excursions and diving trips at home and abroad. If you feel like in a young, dynamic diving club to become a member please let us know. We will be happy for your questions and suggestions. 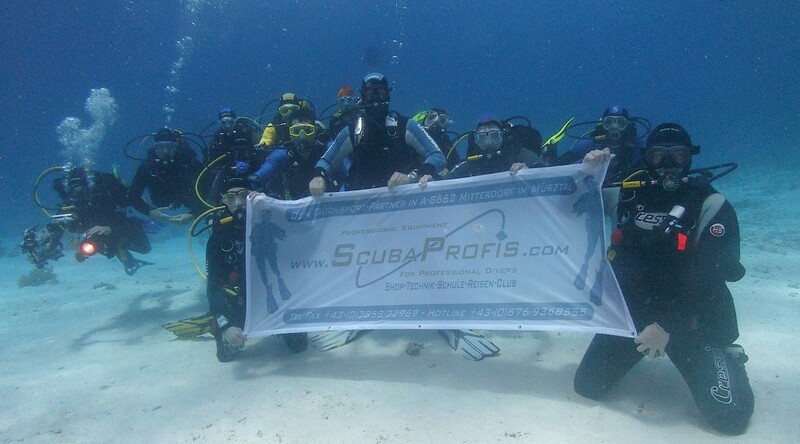 If you are already in another diving club member – very good !!! We are constantly looking to partner clubs with which we can carry out joint events and activities! Please join with us! You can become a member of our club partners clubs at all our events that are not specially marked as Club Confidential, also participate!